Up for this week's Card of the Week is former Indiana Hoosier great Calbert Cheaney in Charles Barkley's Air Force Max. It's a new year and it's the first edition of the Kicks on Cards card of the week! With Indiana Hoosiers basketball back to relevance and a newly revealed skinny Charles Barkley both in the sports world current events, this week we'll take a look at a (I know it's kind of a stretch) pairing of the two with former Indiana basketball star Calbert Cheaney in Barkley's Nike Air Force Max. With big wins over college basketball powerhouses Kentucky and most recently Ohio State, it looks like the Indiana Hoosiers are back on the NCAA basketball radar for the first time in quite a while. You have to go back to the days of coach Bob Knight and this man, Calbert Cheaney, to talk about great IU basketball. Cheaney led the Hoosiers to two NCAA tournament appearances in 1992 and 1993 making it to the Final Four and Elite Eight, respectively, and was named the Naismith College Player of the Year in 1993. He was drafted in 1993 as the #6 pick by the Washington Bullets and you see him pictured here before his rookie season started in Bullets practice gear. Cheaney would later be one of the few NBA players to wear Asics brand basketball shoes, but here he wears the Air Force Max in Barkley's Phoenix Suns colorway (probably right before his shoe deal with Asics started). The Air Force Max released in 1993 and was one of the shoes made famous by Michigan's Fab Five in its all black colorway. 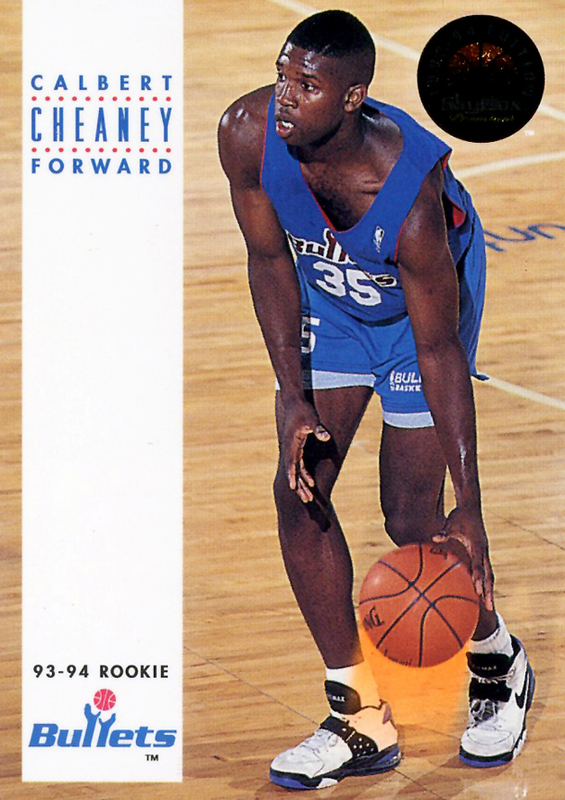 The shoe was also notably worn by Sir Charles in this colorway on Cheaney's feet. The shoe is an all-time classic of Nike's FORCE line and seems to come back for a retro every few years, but I, for one, propose to Nike: Let's see this shoe again in Chuck's original White/Black/Purple colorway to celebrate his newfound weight loss!